Calc Bowl Sponsors:Thanks to Northrop Grumman (Aurora), the American Society of Civil Engineers, Aurora Public Schools, and charitable minded individuals for supporting Calc Bowl 2019! Some History of the Rocky Mountain Area Calc Bowl Originally created in 1992 for calculus students at the University of Wyoming in Laramie, Wyoming - subsequently, community college and high school students were invited to participate. It turned out that the Calc Bowl was more popular with high school and community college students than with University students. 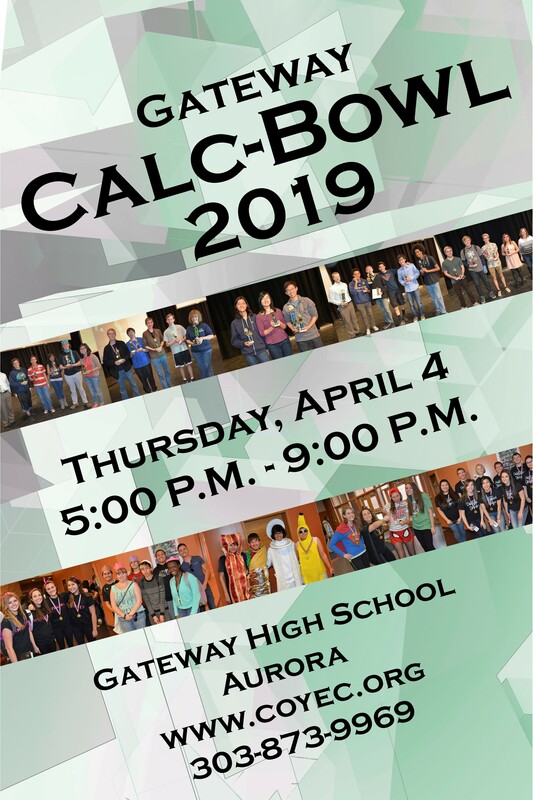 Calc Bowl has been very popular in the Denver metro area, with 40-50 or more teams participating every year since 2010.